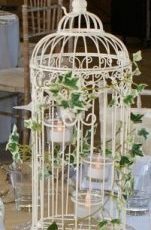 These stunning bird cages really look beautiful as a table centre for the tables. Decorate them with floristry, ivy or greenery, pairing them with candles so they glow in the evening. 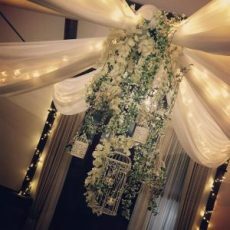 Or hang from the ceiling in the middle of draping!